Christmas may be approaching, and the small matter of Black Friday before that. But there are some dates in your creative calendar that mustn't be missed. One such date is 14 November, as it marks the day you can join us for a virtual front-row seat at Adobe’s Creative Meet Up. Yes, in a few days, the software giant will be dazzling London’s creative community, where some of photography and design's brightest minds will be sharing their expertise. And you don't need to miss out, since we'll be live-streaming all the action as it happens, right here on Digital Camera World. So, join us on 14 November from 18:30 GMT (19:30 CET) and you'll get to hear from some of the photography and design industries' most creative minds. Proceedings will begin with Adobe's Principal Manager of Creative Cloud Evangelism, Rufus Deuchler, sharing details of the latest cutting-edge updates to Creative Cloud. Swiftly after, you'll hear luminary talks from prolific art director Kate Moross, artist and print designer Kelly Anna , and multidisciplinary graphic designer Tina Touli. Following that, there will be a headline talk from one of the world’s most influential and visionary photographers, Nick Knight. Director and Founder of SHOWstudio.com, Nick Knight has consistently challenged conventional notions of beauty and is renowned for his ground-breaking creative collaborations with leading designers including John Galliano and Alexander McQueen. Alongside longstanding creative relationships with Bjork, Lady Gaga and Kanye West, Nick has taken on advertising campaigns for clients such as Christian Dior, Lancôme, Nike and Yves Saint Laurent, as well as award-winning editorial for W, British Vogue and American Vogue, amongst others. Adobe Photoshop Lightroom CC - the all-new cloud-centric photo service for editing, organising, storing and sharing photos from anywhere. Adobe XD CC - developed in open partnership with the design community through a public beta, Adobe XD is the go-to tool for designing and prototyping mobile apps and website. Adobe Dimension CC - previously Project Felix, Dimension allows graphic designers to really get to grips with the power and flexibility of 3D, with the ease of working with 2D. Character Animation CC - launched just a couple of weeks ago, this brilliant 2D animation tool helps bring still image artwork from Photoshop or Illustrator to life. Other highlights at Adobe MAX included details of Adobe’s AI platform Adobe Sensei, which has been implemented into all of the new CC updates. This means that the entire design process, from concept to completion, is accelerating dramatically. Attendees also heard about additional investment and expanded resources from Adobe to help people fully realise their creative potential. This includes the launch of AdobeLIVE on Behance, a livestreaming channel where 10 million Behance community members can learn from and inspire each other. 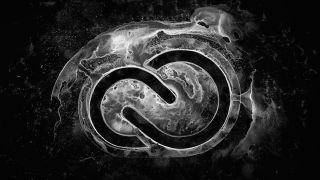 With all this development and innovation, it’s no surprise that photographers and designers all over the world choose Adobe products as their go-to tools. To find out more, join us here on Digital Camera World for the Adobe Creative Meet Up live stream, right here on the 14 November from 18:30 GMT (19:30 CET).